Delight them with red & white. Our radiant new bouquet is a beautiful surprise for the one you love. 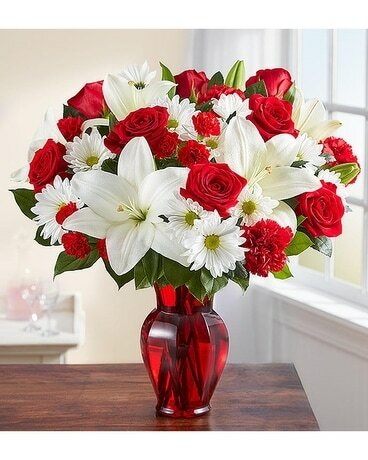 Filled with lush blooms in classic romantic colors, this hand-gathered arrangement arrives in a striking ruby red vase, creating a memorable gift for an anniversary, or the everyday moments you want to hold onto forever.